Installing a new roof on your property is something you’ll probably only have to do several times in your life. Most people don’t have experience in roofing materials and hiring roof installation companies, so it would be wise to be patient and do your homework. The Better Business Bureau warns property owners that suffer damage from our violent storms to not let disaster hit them twice. It’s a sad truth that scammers often move into town after a storm, along with many professional and reputable contractors. The fly-by-nighters rip off as many people as possible, then head back out of town. Unless you need emergency repairs because of a sudden leak, be patient when hiring a roofing company. Do your research ahead of time, that should translate into better quality work, and a quality job at a better value for homeowners. If you don’t know a trusted contractor you should get estimates from several companies, making sure that the details of each bid are the same. Ask the contractor to quote weight per square for composition shingles. This enables the property owner to judge the quality of the materials — the heavier the weight per square, the higher the quality. Get a business card and the home headquarters address of the roofing company. Get a reliability report on the company by calling the Better Business Bureau or look it up on the internet at www.bbb.org. You can search by company name, phone number or by address. 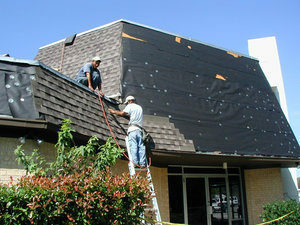 To obtain a whole list, search by business class by using “Roofing Contractors”. Know how long the company has been in business – If they were in business before the storm season they will probably be in business after the storms are over. Require them to obtain a permit for your roof from the city, if its required, and that its included in the written estimate. A bond may protect you against poor work that doesn’t comply with building codes, but it may not protect you if the contractor doesn’t complete the job. Ask for and make sure to check references. Call previous customers, and if possible, look at a similar job that the company has completed recently and, also, one that was done several years ago. 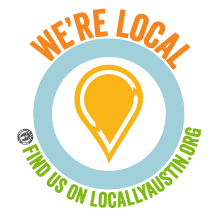 Ask if they would be willing to submit any disputes regarding workmanship or service third party arbitration programs, and, if so, get the commitment in writing. Name, full physical address and phone number of the contractor. Written description of all the work to be done, including the quality of materials. If the salesman is promising work that is not on the written estimate, write it on the contract and have both parties initial any changes you add or make. When first payment is due, be careful of paying money in advance. Payment based on the progress of the job is acceptable, but withhold any final payment until you are completely satisfied with the project, and the Building Inspection Department from your city has made its final inspection, if needed. When the materials arrive, physically check the wrappers on the shingles and make sure what is quoted in the contract is what has been delivered to the site, regarding weight per square. Never pay for repairs in advance (the deposit shouldn’t be more than one half of the total estimated price). Pay by check or credit card. Make the check out to the company not an individual and don’t ever pay cash to a contractor or their sales person. 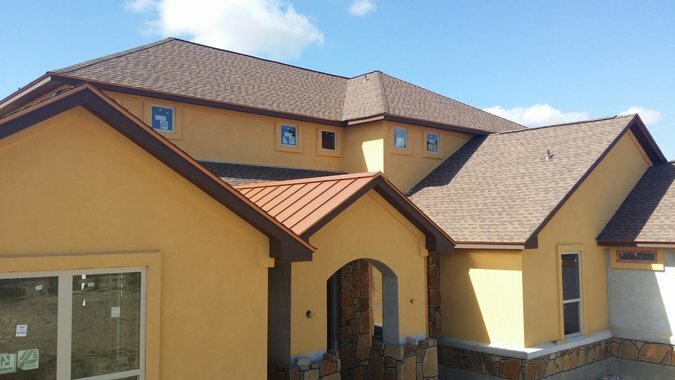 For a free consultation and estimate with a licensed, professional roofing contractor with years of experience in the Georgetown and greater Austin area, call Armadillo Roofing & Exteriors at (512) 333-7663.